Be prepared for whatever Mother Nature dishes out. 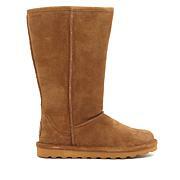 This cozy boot comes pre-treated with NeverWet, offering protection from rain, ice, mud or accidental spills. So while your feet are staying warm inside the sheepskin and wool-blend interior, you don't have to give that snowdrift or puddle a second thought. I love my boots. Im new to this brand and as I get older I want comfort. I bought the blue and pink. Ladies you wont be disappointed. It feel like heaven on your feet you dont have to wear socks it is just that good. Love the boot, but are made narrow. 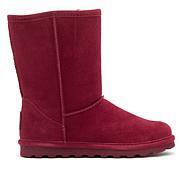 Very cute comfortable and warm. Just wish the out side faux fur went all around the boot. Bought the blue and true to size. hesitated on these boots but finally ordered hickory. 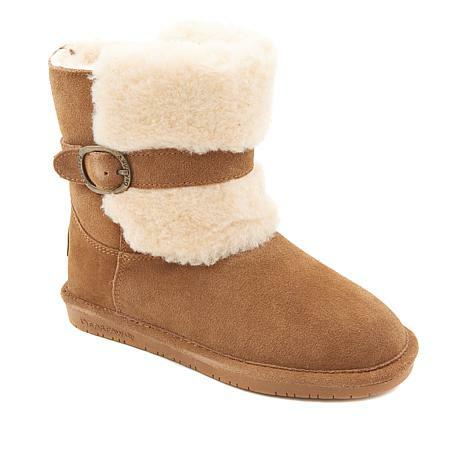 Cutest and most comfortable boot!! 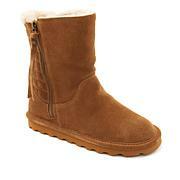 Have quite a collection of Bearpaw, approx. 30 pair and these rank in my top 5.